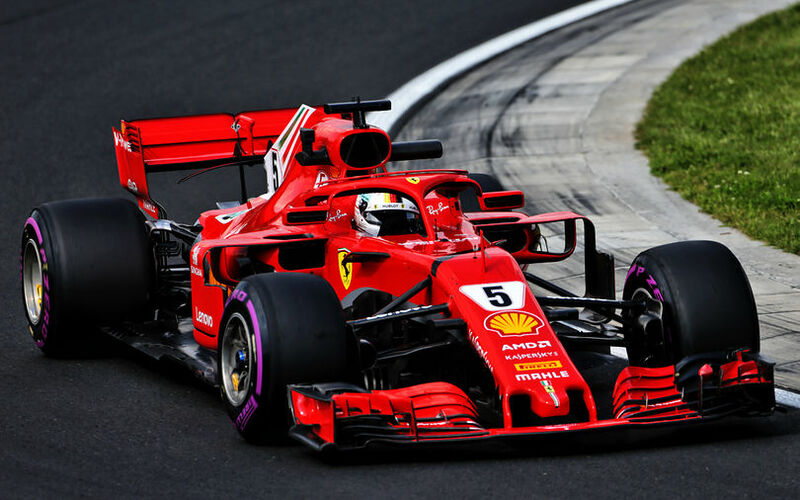 As if it was to not let Red Bull think they'd have it easy this weekend, Sebastian Vettel set the fastest Friday time at Hungary as teams brought out the faster tyres and completed short and long runs. The Bulls and Raikkonen weren't far off though with the top three packed within 3 tenths of a second. The gap behind the top 4 also seemed to suggest the remainder of the weekend will be a fight between Ferrari and Red Bull, but Mercedes aren't that are off as the timing sheet makes one believe. On their ultra soft tyres, neither Mercedes driver managed to complete a clean lap. On the ideal moment for a quick lap, Hamilton went wide in Turn 4 while Valtteri Bottas missed a turn in sector 2 after setting a purple first sector. Their offs though suggest the balance issues from the morning hadn't been resolved just yet. Romain Grosjean was again 7th fastest, followed by Sainz in the Renault. Pierre Gasly put Toro Rosso in the top tean, along with Esteban Ocon, who might have brought some solace to the ailing Force India Team that apparently went into administration today. Marcus Ericsson continued his struggle with his Sauber Ferrari, going off on the medium tyres in sector 2 after having done the same twice in FP1 as well. McLaren's Stoffel Vandoorne meanwhile was lucky to not crash his MCL33 into the wall after he clipped the grass and spun off at high speed. The tarmac run-off brough him to a halt rapidly enough, but at the cost of his set of ultra soft tyres. With rain expected for Saturday's qualifying, nothing is decided yet.